This summer, Meizu launched the MX5 — an ambitious handset that made a wonderful first impression before revealing itself as a slick-looking bundle of compromises. 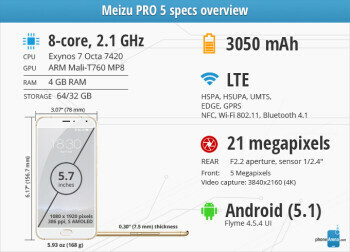 Fast forward to November, and Meizu is already in for a re-match with the Pro 5. Put in a few words, this phablet is the result of the very same pursuits, executed with twice the ambition. If there's any question about the Pro 5 that most needs to be answered, that would be whether the bigger screen, top-shelf internals, and updated user experience are worth the $150 price premium over the three-month old MX5. Let's dig in and find out, shall we! A feeling of precision is undermined by a bulging camera. Those who know the Meizu MX5 won't be in for any surprises, for the Chinese maker threads the path of incremental improvement. Whipping out the phablet in front of an unsuspecting audience still produces the recurring exclamation of "my, that's a big iPhone you have!" This has sparked some entertaining conversations for sure, but like the MX5 before it, the Pro 5 is no laughing matter. Rather than opulence, this industrially-beautiful smartphone (sold in Gold, Gray, and Silver) stands out with intelligent design. The back panel and sides are mostly made of polished metal that's decorated with chamfered lines where the body meets the front panel. The antenna bands on the back look like they are carved in the aluminum, but the handset's top and bottom parts are actually made of plastic. Thankfully, this doesn't make for an inconsistent look. Moreover, the phablet's sides are gently rounded, which contributes to a comfortable grip, while the power and volume keys on the right are slim, don't wobble, and produce a satisfying "click". 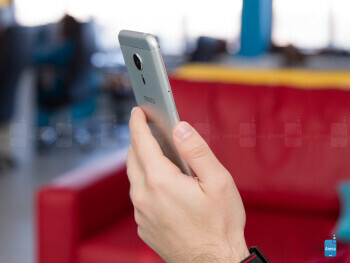 Speaking of comfort, the phablet measures a sizable 6.17 x 3.07 x 0.30 inches (156.7 x 78 x 7.5 mm) and weighs 5.93 oz (168 g). Although the Pro 5 is a bit larger than other devices in its category, like the Samsung Galaxy Note 5, it feels very nice in the palm with its flat back and uniform weight distribution. Thankfully, the upgrade in screen diagonal hasn't decreased the efficient screen-to-body ratio — a Meizu trademark of sorts — all that much With its 5.4-inch screen, the MX5 stood at 74%, while the Pro 5 and its 5.7-inch display stand at 73.3%. Obviously, someone knew what they were doing! 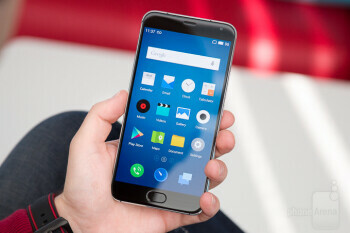 Meizu worked to high standards in designing and building the Pro 5, but saying the team left no stone unturned would make for an insincere compliment. The Home button feels mushy, and the camera hump on the Pro 5's back undermines the handset's aura of precision. It sticks out too much, propping the phablet upwards when it should be laying flat, and exposing itself to friction damage over time. Hopefully, the sapphire protective lens and metal ring will prove themselves durable over the course of your Pro 5 ownership. An AMOLED panel with too much green and not enough brightness. The Meizu Pro 5 is equipped with a 5.7-inch AMOLED display, covered in Gorilla Glass 3. It's set to a 1080p resolution, which still looks more than fine, even when blown up over a plus-sized screen like this one. With its maximum brightness output of 327 nits, the Pro 5's display is rather dim in comparison with other hi-end smartphone displays, and using it under bright light will make you squint. But the minimum brightness of just 1 nit makes for a great bedtime phone. Turning our attention to color accuracy, at 7614 Kelvin, the color temperature is on the colder side, and although temp can be adjusted with a slider, color balance still remains problematic. With the Pro 5, green is very prominent and over-saturated at the expense of seriously subdued red, while yellow is shown as yellow-green. This makes images appear a bit lifeless. Viewing angles are also flawed, as even slight shifts and tilts immediately result in color distortion (the white turns to blue). In short, this display is anything but color-accurate, which is a disappointment considering the panel's near-perfect gamma curve makes for excellent contrast. Flyme OS is a delight, but the initial setup might be confusing for novice users, and there's work left to be done. 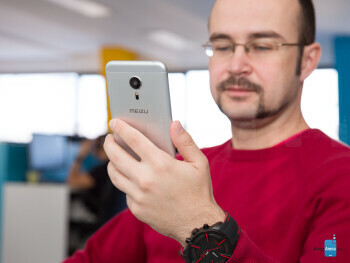 We have a lot of good things to say about Meizu's Flyme user experience, but before we do that, we'd like to get some of the hairy stuff out of the way. Out of the box, we were unable to install applications from the Google Play store on the Pro 5, because the store kept force-quitting! Luckily, the solution was easy — all it took was a factory reset. However, such an ordeal would be frustrating and inconvenient for novice users expecting a straightforward experience. Next up, hooking up to our wireless carrier's network required us to input its APN settings manually, which is something we haven't done since the turn of the century. While we struggled to figure out what's up, the Pro 5 pointed us to a "connection checking" menu that's completely unrelated to the problem, therefore useless and confusing. As “power users”, we can mercifully excuse these flaws with the Meizu Pro 5's Chinese origin. But non-techies that somehow stumbled upon Meizu's top-of-the-line smartphone are in for a rocky start to an otherwise leisurely ride. Flyme OS 4.5.4, the manufacturer's custom user experience laid on top of Android 5.1, is a wonderful effort in simplifying the Google operating system by emulating iOS's clean look and intuitive interface. It is also light on bloatware, which is limited to 'App Center' (Chinese-only), 'Painter' (a cute, but basic drawing app), and 'Security' (a decent system maintenance app). The 'Flyme cloud' service is functional for on-line backups and such, but it's all in Chinese, so English-speaking users are better off using third-party services. Like most Chinese user interfaces, Flyme ditches the app drawer and lays all apps directly on the home screen. The graphics elements are big and colorful, taking advantage of the liberal screen real estate, while animations are sparse and fluid. Translucency is tastefully applied to folders and the notification drawer's backgrounds, contributing to a polished look. Yes, we like Flyme's visual flair, but its reliance on overly metaphorical icons (rather than plain text) in some apps and menus does make for confusing moments. Moreover, the only customization options it has are reverting to stock system icons and choosing wallpapers. Also, some of Flyme's awkward bits, such as not knowing in which direction you're supposed to swipe to unlock, or not being able to type in landscape mode inside the SMS and email apps, still rear their heads. 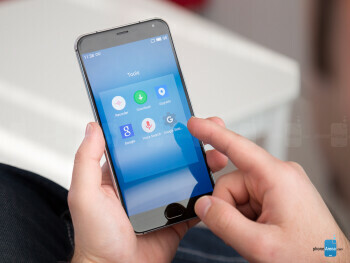 However, we love being able to simply tap the Home button to navigate backwards, swipe down anywhere on the big screen to bring down the notifications drawer, or swipe up to have a small, unobtrusive app switching menu show up. By virtue of clever design, Meizu eliminated both the old-fashioned capacitive buttons and the screen-eating software keys, which is worthy of compliments. That aside, options like 'Gesture wakeup' and 'SmartTouch' add yet another layer of quick, efficient control that turns Flyme into a very pleasant user experience, indeed! The fingerprint scanner on the Meizu Pro 5 is fast, but the overall experience is prone to error. Why is that? For some reason, you must press your fingertip against the Home button at the exact same angle as it was originally captured, or Pro 5 won't let you in! 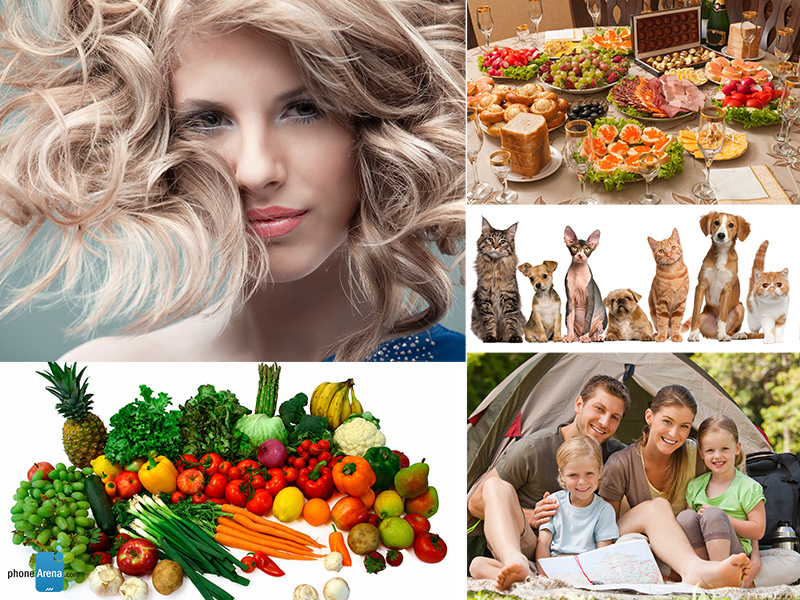 Say your thumbnail was pointing upwards as you captured a fingerprint of your right hand thumb. This means you won't be able to unlock the phablet as it lies in your palm and your thumbnail is, naturally, pointing to the left. If you want this to work, you must capture a second fingerprint of your thumb with its thumbnail pointing to the left. If you aren't able to figure this out by yourself, you are in for a barrage of frustrating "fingerprint mismatched" messages that show up just as you expect to unlock the phone. Not cool! You also have only five fingerprint slots at your disposal, while other hi-end devices offer as many as ten. These quirks aside, the Meizu Pro 5's scanner is certainly usable for basic fingerprint security. Samsung's premium processor and memory chips make for a smooth ride. 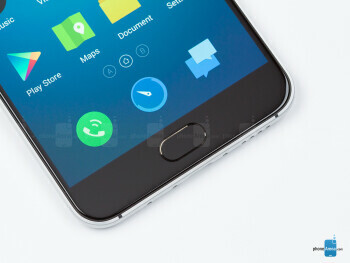 Rather than choosing MediaTek's cost-efficient offerings once again, Meizu brought a fat chunk of cash to the Samsung hardware store instead, for the Pro 5 features the same system chip and memory components as the Samsung Galaxy S6 and Galaxy Note 5 — the powerful and efficient Exynos 7420 system chip, blazing-fast UFS 2.0 flash storage, and 4GB of LPPDR4 RAM memory. It's no surprise, then, that apps and menus open effortlessly, while 3D graphics rendering is generally very good.. Should you encounter performance problems, though, try putting the Pro 5 in “High performance” mode from the 'Battery' menu, which may squeeze additional frames per second. The Meizu Pro 5 ships with 32GB or 64GB of storage, which can be expanded with a microSD card of up to 128GB capacity. However, popping in an SD card kills the option of running two nanoSIM cards simultaneously, so it's either “dual-SIM” or “nanoSIM + SD card” for owners of the Pro 5. Good dynamics, natural colors, and a reliable flash make for great daytime and indoor photography, but night shots are a stretch. The Chinese upstart has been just as picky about the Pro 5's camera setup as it's been about its internals. Meizu splurged on the Sony IMX 230 21MP imaging sensor (also present in Sony and Motorola's latest handsets), and added laser auto-focus and dual-LED flash. From a hardware perspective, this is a zero compromise setup, but those premium components are only as good as the software algorithms driving them. Speaking of which, we have only good things to say about the Pro 5's camera app. It stands out with a clean user interface, eight shooting modes with nothing gimmicky or exotic to be wary of, cool filters, and speedy operation. And now, about the photos it produces! Outdoors in daylight, the Pro 5 does a pretty good job as it's quick to focus, handles dynamic scenes decently, and produces realistic colors. In good shooting conditions, the preservation of fine detail is impressive, although the presence of noise is masked by heavy filtering, which imparts a pixelated harshness to dense objects, such as tree crowns. Late afternoon shots come together similarly well, although as expected, the diminished light serves more of the camera's "filtered noise" special. Outdoors at night, the going gets rough. The IMX 230 sensor is very light-sensitive, in that a lack of illumination inevitably results in an image quality downgrade. Thankfully, the Pro 5's dual-LED flash provides very good lighting, helping you turn pitch-black scenes into decent night shots. But say you are to rely on sparse artificial light sources, such as street lamps, neon signs, and shop windows? Most of the time, these elements will turn out as overexposed halos glowing amidst what looks like watercolor paintings of objects. The same applies for low-light indoor settings, such as night clubs. 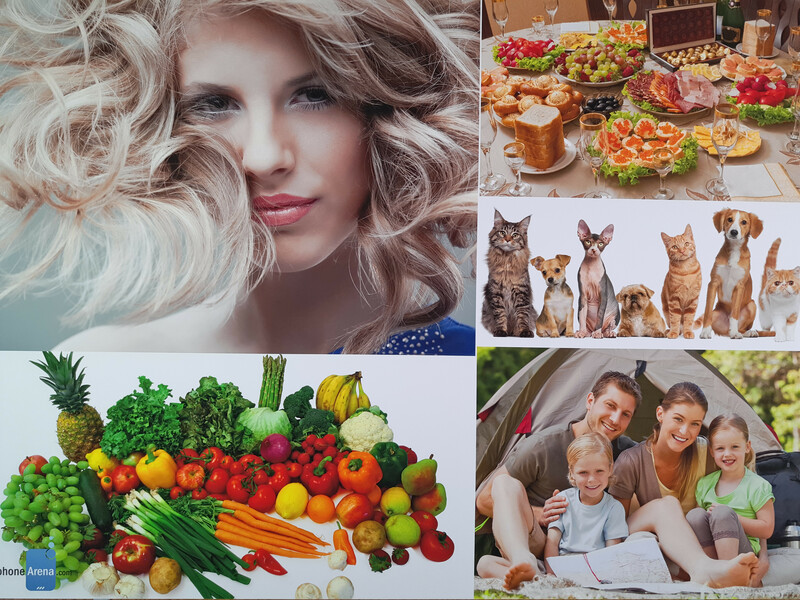 Unless you engage the flash, which may not be always appropriate, you will end up with soft-looking photos at best and smeared, poor quality shots at worst. That's not to say you can't capture some detailed and visually appealing night scenes with the Meizu Pro 5, but this is down to careful composition and an abundance of light. Indoor shoots tend to turn out quite well, thanks to the phablet's good grip on light dynamics and reliable LED flash. Colors, however, aren't always as natural, as photos may occasionally end up with a little more red than normal, due to confused automatic white balance correction. Also, the bookshelf photograph makes it clear that the finest of details — tiny characters, in this case — are not captured consistently by the camera. The Meizu Pro 5 can shoot videos in resolutions ranging from 480p all the way to 4K (3840x2160). Daylight videos in 4K and 1080p resolution look fine with their sharp detail and natural colors, but rapid movements provoke compression artifacts, and digital zoom looks plain nasty. Moreover, 4K clips barely run, even on a powerful computer with a specialized video player. Indoor low-light clips suffer from a lot of noise, but the club video we took looks surprisingly okay. 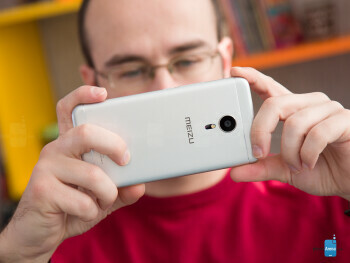 Unfortunately, there's no continuous auto-focus, as only manual tap focus is available. Also, the software image stabilization employed here is nearly useless, so you better have a steady hand. Finally, sound quality is passable, although the 96kbps mono audio recordings are anything but inspiring. A fine viewing experience paired with decent audio. Needless to say, a 5.7-inch display diagonal is near perfect for browsing, reading, and video watching. Yes, the one on the Pro 5 may not be the brightest or most color-accurate among its kin, but its sheer size and near-perfect contrast still make for an enjoyable experience. The stock video app is unremarkable, in that it does the job without aspiring to be the next VLC player. With a loudness of 74dB, the Pro 5's mono speaker is loud enough, though not impressively so. It sounds reasonably good for a tiny mono speaker, although not exceptional. The built-in music player has these Dirac HD presets, which made a very audible difference to the way our ho-hum earbuds sounded. Smart choice of components results in impressive battery life and quick charging. Meizu managed to squeeze a 3050mAh capacity battery inside the Pro 5, which may not look like much for a phablet, but it's still a good achievement considering how much premium hardware is packed into the phablet. Thanks to that, the power-efficient AMOLED display, the 14nm Samsung chipset, and perhaps some voodoo magic, the Pro 5 is up for an excellent 9 hours and 54 minutes of on-screen time, according to our battery test. We actually felt safe charging the smartphone every other night, which can't be said about most of this year's flagship smartphones. But if you game or watch videos heavily, you'll probably charge every night anyway. Speaking of charging, the Pro 5's tank of battery juice is quick to fill up at just 83 minutes with the bundled USB Type C cable and 24W charger. At a base price of $430 for the 32GB model (excluding shipping and import taxes), the Meizu Pro 5 delivers a lot of smartphone for the money. This is a competent phablet that's built around exacting design, a no-compromise spec sheet, and delightful user experience. Indeed, the Pro 5's display, fingerprint scanner, and night photography performance could have been better, but the device's strong sides seriously outweigh the negatives! 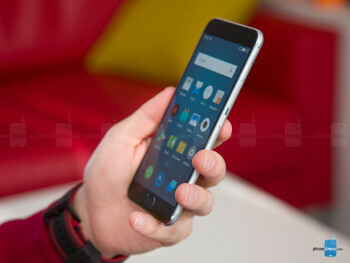 Indeed, the $150 increase in price over its predecessor, the Meizu MX5, is well worth it. Unfortunately, fine Meizu products like this one still aren't ones you can conveniently find in stores if you are outside Asia. We're not saying the Pro 5 isn't worth a few weeks of waiting and the eventual import headaches if you're interested in a phablet, but while you're at it, you might as well just pick up the Google Nexus 6P by Huawei, which is priced in a similar ballpark and is a better all-around Android device that you can pick up locally. That aside, the ambition and precision poured into the Pro 5 prove that Meizu's products have what it takes to spar with the Chinese big boys, such as Huawei, Xiaomi, Vivo, and Oppo. But its limited market presence outside China simply won't let the Pro 5 compete with globally available flagship devices from Apple, Samsung, LG, Sony, Motorola, and HTC right now.